Makes four and six needle flat shaders perfect every time. 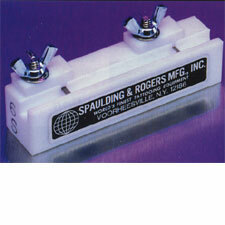 Made of heat resistant Teflon, will not damage from soldering flux. Comes complete with step by step illustrated instructions.